W. L. Craig’s understanding of freedom: Molinism or monergism? In December, I wrapped up my review of Four Views on Divine Providence, dealing with responses to Greg Boyd’s Open Theist proposal. 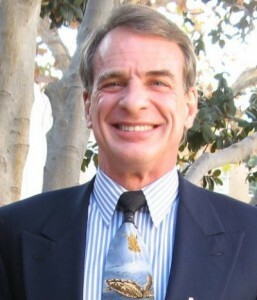 In that post, I expressed my surprise concerning William Lane Craig’s redefinition of libertarian freedom, in which he denied that it entails the Principle of Alternative Possibilities (PAP), often described as the “power of contrary choice.” Craig proposed instead that a libertarian account of freedom requires only “the absence of causal constraints outside oneself that determines how one chooses,” that is, “that we have genuine ‘say-so’ about our choices” (225). Roland Elliott has shown a significant interest in my posts dealing with Molinism, and he responded once again to my expression of surprise and confusion regarding Craig’s understanding of freedom. He referred me to a page on the web site of Reasonable Faith where Craig has spelled out a bit more extensively his understanding of freedom, and the influence of Frankfurt upon the development of his current view. Having read that page, I am even more convinced that a move has occurred on Craig’s part which is momentous, though Craig himself does not yet seem to be aware of its significance. Craig has been the most prominent evangelical representative of Molinism of whom I am aware, and this is reflected in the large place I gave to his work in my exposition of the Molinist model of divine providence, in Providence and Prayer. For this reason, I am now revisiting his situation, and I want to make a proposal that some might find rather shocking, but I hope that it will contribute to a fruitful conversation. 1. If the act A of choosing x was free, then, prior to the exact moment of A, A was non-existent and, prior to the exact moment of A, there were no specifiable set of circumstances by which to deduce that A would occur. You’re right, John, that (1) is controversial, but I myself accept it. Some might deny it either because they think that freedom is compatible with causal determinism or because they hold to a theory of time, variously called the tenseless or B-Theory of time, according to which future events are just as existent as present events. If the compatibilist is right, then God could deduce the future free choices of men from present conditions which causally determine how they shall choose. But as you note, I’m a libertarian who thinks that causal determinism is incompatible with freedom. That doesn’t imply that I hold to the Principle of Alternative Possibilities (PAP), which states that a free agent has in a set of circumstances the ability to choose A or not-A. I’m persuaded that so long as an agent’s choice is not causally determined, it doesn’t matter if he can actually make a choice contrary to how he does choose. Suppose that God has decided to create you in a set of circumstances because He knew that in those circumstances you would make an undetermined choice to do A. Suppose further that had God instead known that if you were in those circumstances you would have made an undetermined choice to do not-A, then God would not have created you in those circumstances (maybe it would have loused up His providential plan!). In that case you do not have the ability in those circumstances to make the choice of not-A, but nevertheless your choice of A is, I think, clearly free, for it is causally unconstrained—it [is] you who determines that A will be done. So the ability to do otherwise is not a necessary condition of free choice. Where does this understanding of freedom locate Craig now? I no longer consider Craig a Molinist. The genius of Molinism, as Thomas Flint argued with great expertise (in Divine Providence: The Molinist Account), is that it affirms both a strong doctrine of divine determination and human libertarian freedom, understood in the usual way as the PAP. Craig no longer affirms the latter, and so he has given up what made Molinism so attractive in our culture, where a “free choice” is generally assumed to involve the ability to choose between two alternatives. The problem for Molinism has been, however, that so many philosophers and theologians (both synergist and monergist) believe the grounding objection to be unanswerable, making the knowledge of counterfactuals of libertarian freedom (i.e., knowing what libertarianly free creatures would do in all possible sets of circumstances) impossible, even for God. Now that Craig defines freedom in terms of spontaneity or non-coercion, as compatibilists frequently do, the grounding objection no longer applies to his philosophical theology. It is now possible for God to know how creatures would act in hypothetical situations, because they do not (at least, not always) have the power of contrary choice. I am now unable to distinguish the reasons for Craig’s affirmation of the usefulness of God’s knowledge of counterfactuals to his providence from my own. It seems to me that Craig now accepts essentially what I describe as “hypothetical knowledge Calvinism.” I take this to be good news. It is apparent, however, that Craig has not arrived at the same assessment as I have, given that he continues to self-identify as a Molinist, and that he puts forward his non-libertarian definition of freedom in a Q and A about middle knowledge. There was a time when I would have granted him the affirmation of middle knowledge, while denying that his account was Molinist, but I have come to realize that middle knowledge entails libertarian creaturely freedom, in the classical sense of the PAP. Why then does Craig continue to self-identify as a Molinist? This is where I am most confused. It appears to me that, in rejecting the PAP as necessary to freedom, Craig has removed the only thing that constituted his model indeterministic. I suspect (as I did when reading Flint’s Molinist account of providence) that insufficient attention is being paid to the difference between hard (mechanistic/incompatibilist) determinism and soft (compatibilist) determinism. Like Craig, Calvinist compatibilists regularly insist that moral responsibility requires that a person not have been coerced; they must have had “say so” in the action they committed. But if, as Craig now asserts, people do not (always) have the ability to do otherwise than they do, when they choose in a morally responsible way, then the reasons for their choice lie within the person who makes the choice. A person of the quality A would do x, in circumstances y. This is what makes it possible for God to know, as part of his natural or necessary knowledge, how creatures would act in all possible situations. In short, I think that “determinism” is Craig’s fear, and Molinism looks to him to be the way to avoid it. But Craig’s current account of the nature of freedom is compatibilistic, and I see no reason for him to continue to self-identify as a Molinist. Craig is a brilliant philosopher for whom I have high regard, and from whom I have learned a great deal. This makes me suspicious that there is something I’m missing in all of this. I welcome continued conversation and enlightenment, and I’ll pass along in future posts any changes that take place in my assessment, as new information comes my way. After I published the above thoughts, I wrote to a friend with expertise in philosophical theology and our conversation has been helpful to me. In light of it, I want to revise my original assessment, and to nuance my assessment of Craig’s current stance. Since it was private correspondence, not an invitation to be interviewed for publication, I’m not going to identify my conversation partner, but I will quote him occasionally for precision. Nonetheless, in both of our cases, we were speaking impromptu, without self editing. That being said, I think that the outcome may be useful to anyone who visits this post, to give a perspective that entails a bit more reflection than was involved in my initial ruminations. I’ve done this as an addendum rather than a separate post, to keep the process all together. Craig’s view as now presented seems to be a sort of agent-causation view of freedom being appealed to, and this might and should be sufficient to distinguish it from compatibilism,. If A can produce an uncaused choice at A sufficient for x, but without the power of causing alternatively, this would be consistent with non-determinism. (Does it have the power to do nothing? Such a power would seem to land him back in the territory of PAP. If there is no power to do nothing, it would seem that the exercised power is ‘forced’?) A compatibilist would have to say that though the meshing necessary for x is unique, the ingredients – the token beliefs and desires etc. are not – and the act could in principle by predicted by omniscience. In Craig’s at present view, a unique agent cause intervenes, and it is that which motivates him to say that he’s still a Molinist, because of the presence of a counterfactual of freedom, though not a freedom that consists in the power to do otherwise, but one that is the exercise of an ex nihilo power to create, so to speak. Such a counterfactual requires God’s middle knowledge, is open to the grounding objection, and so on. So it’s not obvious to me that he has given up libertarianism, or at least not self-causation, a version of non-determinism. Whether his present view is intelligible is another question. I find that an insightful way to construe the move that Craig has taken. I was particularly misled, it seems, by his proposal that a libertarian account of freedom requires only “the absence of causal constraints outside oneself that determines how one chooses,” that is, “that we have genuine ‘say-so’ about our choices” (225). That sounds to me like the freedom of spontaneity which many of us compatibilists affirm, and from there I moved to the conclusion that Craig no longer had reason to resist determinism. I can see now, however, that the agent causation you have identifed in his perspective means something quite different from what I mean when I assert that freedom entails the lack of constraint from outside oneself. Your comments have impressed upon me more clearly the extent to which Craig is also rejecting constraint from the features of or inside myself. It is here that he remains indeterministic where I have moved toward the determinism that makes human freedom compatible with God’s meticulous control. Craig wrote: “Suppose that God had decided to create you in a set of circumstances because He knew that in those circumstances you would make an undetermined choice to do A. Suppose further that had God instead known that if you were in those circumstances you would have made an undetermined choice to do not-A, then God would not have created you in those circumstances.” The operative word here is clearly “undetermined.” The undeterminedness of the choice makes it incompatible with God’s meticulous control, at the micro level. What continues to puzzle me, however, is what allows Craig to disavow the PAP while simultaneously disavowing determinism. Craig posits a situation in which “God knows that in a particular set of circumstances you would undeterminedly choose to do A,” although you had no power to choose otherwise. Does he think that God would only know, in his middle knowledge, what you would choose to do, but not know that you could not choose to do otherwise? It seems to me that Craig must think this. That seems a strange idea given Molinism’s enthusiasm about God’s middle knowledge. But, if God does know, not only what you would undeterminedly choose, but also that you could not undeterminedly choose otherwise, in what sense does the “freedom” you possess qualify as libertarian? This does not strike me as the sort of freedom that Molinism has traditionally tried to preserve. I have been assuming that the essence of the human freedom that Molinism wants to incorporate into its soteriology is that the faith of those who are saved is not attributable to God’s gracious action in the circumstances; thus the person is free to choose to believe or not to believe in exactly that set of circumstances (including God’s action), i.e., they have the PAP. Craig would be positing that some people are saved by believing, within a particular set of circumstances, though they could not have chosen not to believe, in those circumstances. Yet, he considers them free because their choosing to believe was not determined by God’s grace, nor by anything in the circumstances including all the factors of their own being. Do you think this would have satisfied Molina? I thought that Molinism was endeavouring to preserve a more robust freedom than Craig now calls for. In retrospect, the title of my blog post was ill-advised. Craig is no monergist. I raised the question, however, because I was misled by his affirmation of the freedom of spontaneity as heading him in a compatibilistic direction. I see now that I considerably overstated that. So he is not a monergist, and he is still Molinistic in that he asserts that God knows the completely undetermined choices that a person would make in a hypothetical situation. The fact that his proposal still faces the problem of the grounding objection indicates that he remains in the Molinist neighbourhood. But I wonder how content more traditional libertarians, for whom the PAP is fundamental to freedom, are going to be with Craig’s current position. I’m sorry that Greg Boyd did not have the opportunity to respond to Craig’s protest about Boyd’s defining libertarian freedom as the PAP. Boyd looked to me like an “orthodox” libertarian at that point, and Craig looks revisionist. But his revisionism has obviously not gone to the extent of making him a determinist, as the title of my blog post suggested might be the case. Yes, the problem (for me) remains the status of the free act in this agent-causation sense (if that is what it turns out to be). An undetermined act to do A, but not to do either A or B, and perhaps not to refrain from doing A. So it looks like, together with what is necessary for the action, the action is not simply causally sufficient in those circumstances for A, but logically sufficient too! And that’s libertarianism. Very weird.
. . . the third type is middle knowledge, by which, in virtue of the most profound and inscrutable comprehension of each faculty of free choice, He saw in His own essence what each such faculty would do with its innate freedom were it to be placed in this or in that or, indeed, in infinitely many orders of things—even though it would really be able, if it so willed, to do the opposite . . . (Concordia, IV,52,9). It is Molina’s clear affirmation of freedom as including the power to choose the contrary that makes me doubtful that Molina would have been happy with Craig’s move. But that sort of historical hindsight is always a bit tricky. This entry was posted in Theology Proper and tagged compatibilism, human freedom, hypothetical knowledge, middle knowledge, Molinism, William Lane Craig. Bookmark the permalink. 17 Responses to W. L. Craig’s understanding of freedom: Molinism or monergism? I understand your concern, but Dr. Craig’s comments were brief and could easily be misunderstood. I wonder if it makes sense to ask him. But in any case, I will take a shot at reading his comments in a libertarian way. The first question I have is to ask why it is that God would not choose to create the world in which the person does non-A? Before answering that, let me bring up two points about Molinism. First, Molinism posits God’s natural knowledge covers possible worlds (things that can happen), his middle knowledge covers “feasible worlds” (things that hypothetically would happen) and finally God’s free knowledge covers what will happen. Free knowledge is a subset of middle knowledge, which in turn is a subset of natual knowledge. God knows nothing by free knowledge that isn’t a part of middle knowledge that isn’t a part of His natural knowledge and nothing by middle knowledge that isn’t a part of His natural knowledge. Second, God does not have middle knowledge of His own choices only of our choices. If He did, that would destroy His freedom. Ok, with these two points in mind, let’s see what Craig might have meant here. At first glance, one might be tempted to say God’s knowledge that the person would do non-A is part of God’s middle knowledge. However, that reading of Craig is highly problematic, because Craig ends up saying doing non-A is impossible (i.e. not part of God’s natural knowledge, so it can’t be part of God’s middle knowledge). Along the same lines, one might think God freely chooses not to create a world in which the person does non-A, but again this is highly problimatic, because God does not have middle knowledge of His own actions. So let’s read Craig as if he means the opposite; doing non-A is not possible, it’s not part of God’s natural knowledge and God cannot create such a world. Why? Because it would “louse up” God’s plans. That world is a total fail. It’s illogical, containing the contradiction of a looser-God. The first thing to point out would be that that seems like it would be rare for God not to be able to bring good out of a world where a person does non-A. Must be some non-A. Likewise, in most cases we do have alternative possibilities. Second, even if a the person can’t do non-A, there are still two possible worlds one where the person does A and one in which he does not. The difference between the ability to do A or non-A and the ability to do A or not is subtle, but may be relevant in this case. On determinism, there’s only one possible world given God’s decree, Craig’s scenario still has at least two possible worlds. Thank you, Dan. Your comments raise a few questions in my mind, so I’ll insert them in square brackets, after your own comments. I may have misconstrued your point at some places, Dan, but thus far, you have not said anything that assures me that Craig’s compatibilistic view of freedom (despite his continued rejection of compatibilism) is a form of Molinism. It looks to me as though Craig is headed towards a soft-deterministic monergism, but he is resisting it because of his objection to hard determinism. Calvinists share his objection, but their affirmation of the freedom of spontaneity as authentic freedom, which Craig also affirms now, is precisely what makes human freedom compatible with meticulous divine control. It avoids the grounding objection that plagues Molinism, by denying contingency deriving from human libertarian freedom (classically conceived as the PAP), but it is capable of giving a large place in God’s decree to his knowledge of counterfactuals, which are knowable precisely because creatures are not libertarianly free. Thanks for your response. I think, the basic difference is defining LFW (and AP) as either the ability to choose A or non-A vs. the ability to choose A or not. On “the direction of the circles”, I was noting more things can happen than will happen (or would happen). On “lousing up God’s plans”, God’s ultimate success is absolutely necessary. The decree decides how God will succeed, not if He will succeed or not. I have a hunch that this distinction is important, but it is not one I understand right now. I’ll keep it in mind as I move forward on this. For the benefit of anyone who subscribed to comments on this post, I note that I have had some correspondence with a friend who has significant philosophical theological expertise. As a result of our brief conversation, I have added an addendum to this post, further assessing Craig’s move, and nuancing somewhat my way of identifying his position. First, how exactly does one pronounce your name? Second, if you are interested in exploring the type of libertarian free will that Craig appears to be espousing search for ‘source incompatibilism’. Your friend may have already mentioned it. Eleonore Stump and Linda Zagzebski are two prominent proponents of the view and also, as I’m sure you know, Christian philosophers. I believe they endorse it, in part because they think that Frankfurt-like cases are persuasive to an extent. It is an interesting question whether source incompatibilism and Molinism are compatible. I had not considered that question before, and I think you may be on to something in questioning its coherence. I’m not sure though. Your reference to “source incompatibilism” is helpful. That does seem to capture quite nicely what Craig is affirming. It isn’t something my friend pointed me to, but tallies well with the agent causation of which he spoke. I’ll be watching with interest for Molinist style uses. Any recent developments since this post, on the issue? Robert, I have heard nothing myself which throws any more light on the question I addressed. Sovereignty vs Human Responsibility issue is super important but at the end of the day, for the Christian, it’s seems (to me at least) to always end disproportionately in God’s domain, as it rightfully should. Molinism seems to be a good argument to keep the debate in the realm of his omniscience which is intellectually satisfying but never gets anyore emotionally closer than the old God has his reasons answer we’ve had since practically day one post resurrection. I fear Christianity will never get any closer than Paul’s Romans 11:36 reason which gives a good revelatory insight to the big picture explanation between the two poles (God’s sov vs Human responsibility) but leaves a God sized mystery with its revelation. And anything God sized is well too big to even attempt to quantify or qualify. I hope a strong Gospl centered type of Molinism will be developed in the evangelical world but given the cultural influence of other camps, like Calvinists and Reformed Compatiblists, I’m not too optimistic. Thanks for the insights, Craig’s present view though logical will probably not go far in evangelicalism and apparently is getting almost as abstract as compatibilism. Be blessed. Any development on the issue in question? I have come across nothing further, Diogenes. Please let me know if you do. Thank you for digging up a charitable and sensible reason for Craig’s claims — I’ve also been puzzled by them, because in other places he’s almost seemed to endorse the alternate possibility, which of course makes no sense with Molinism. Thanks, William. I need to give the paper more time but, from my initial reading, the paper is very helpful and I’ve filed it accordingly. Thanks, William, for indicating where the stuff I was commenting on can now be found.